Revisit favorite arrangements, discover new ones, and inspire your jazz ensemble with sound and adventurous music to play. 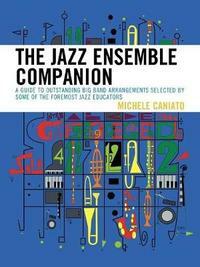 This new book recommends and analyzes sixty-seven quality jazz arrangements recommended by eighteen of the foremost jazz experts in the field today, including directors and professors from high schools and colleges across the country, including the Houston High School for the Performing and Visual Arts, Bloomington High School, Fiorello La Guardia Performing Arts High School, Juilliard School, Berklee College of Music, and Harvard University. Listed alphabetically, each analysis includes information on instrumentation, ranges, playability, and requirements for rendering the score. 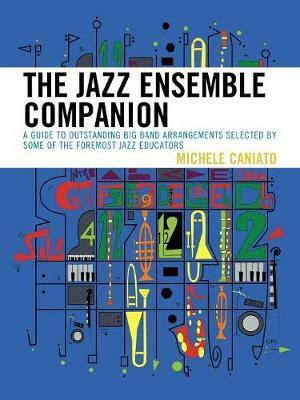 This book includes eight indexes of musical features to help instructors select repertoire and teaching topics, five indexes for quick navigation and reference, three appendices on survey data results, a glossary, a bibliography, a list of jazz ensemble music publishers, and a general index. Michele Caniato is an active composer, conductor, and educator. He has been directing jazz ensembles since 1991 and is associate professor of music at Fitchburg State College in Massachusetts.